●Newly designed high efficiency drive circuit with power indicator system and low battery prompt: Power≥10%,the green light in side button will be on Power＜10%, the red light in side button will be on and strobe Cut off the power when the indicating light strobe and charge them. ●Caution: Don't shine in a persons eyes as this powerful light could cause injury or temporary blindness. 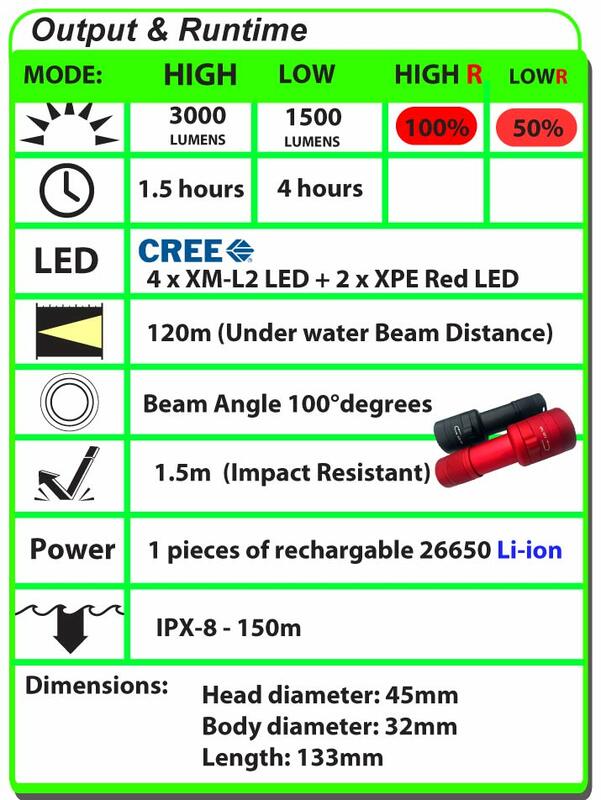 ●Min output of 1500 lumens for approximately 240 mins Note: Stated brightness and runtime figures are based on tests using 1pc 26650 Li-ion battery (approximate 4000mAH) under laboratory conditions. Variances in these figures will occur depending on battery used and individual usage habits. 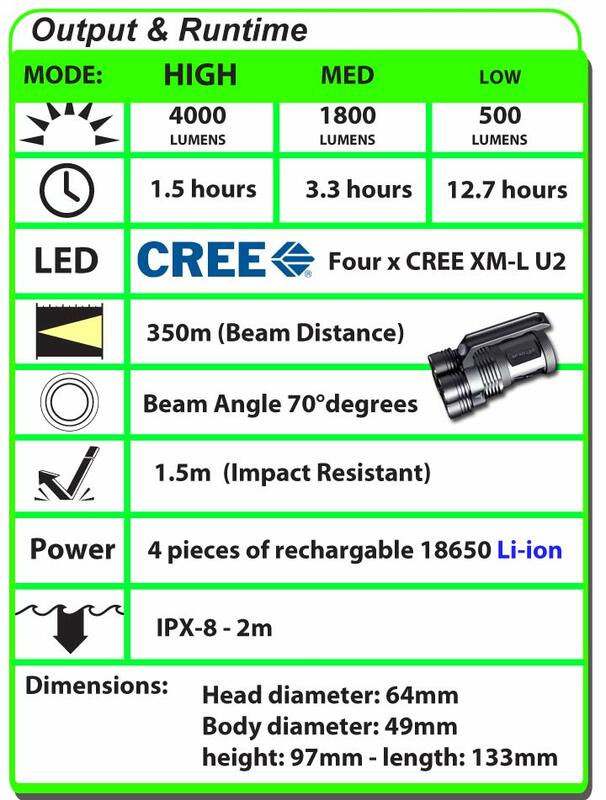 Special multifunction design enabling use as Headlamp, Flashlight Bicycle light and probe light, includes all fittings. 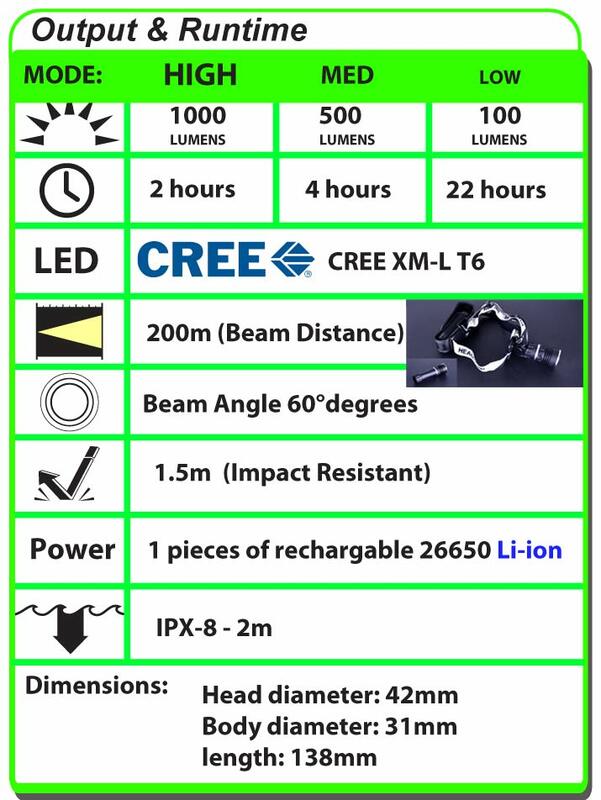 Note: Stated brightness and runtime figures are based on tests using 1pc 26650 Li-ion battery (approximate 4000mAH) under laboratory conditions. Variances in these figures will occur depending on battery used and individual usage habits.